Obituary – Becker, Jack « Perry High School Alumni Association, Inc.
Jack Becker, 58, of Perry, Oklahoma was the son of Simon and Lela Schmidt Becker. He was born February 28, 1947 at Goltry, Oklahoma and died on Tuesday, April 19, 2005 at Perry Memorial Hospital. Funeral services will be at 2:00 p.m. Monday, April 25, 2005 at the First Baptist Church in Perry. Rev. Buddy Hunt will officiate. Interment will be in Grace Hill Cemetery. Services are under the direction of Brown-Dugger Funeral Home. Memorials may be made to the American Cancer Society in care of Brown-Dugger Funeral Home. He and Judy Biggs were married in Perry, Oklahoma on July 17, 1965. Jack owned and operated Star Sales for 30 years. 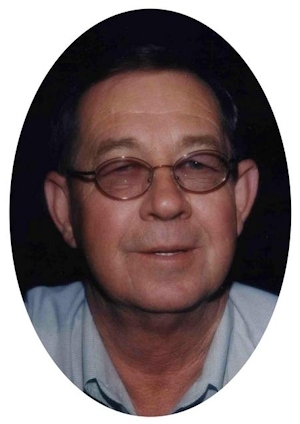 He enjoyed fishing, cattle and race horses and spending time with his grandchildren. He was a member of the Perry Elks Lodge. 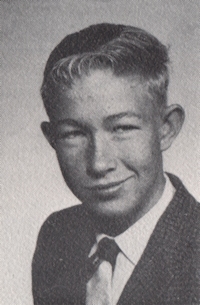 In addition to his wife, Judy, Jack is survived by two daughters, Darala Lewis and Shana Hogan and her husband, Troy, all of Perry, Oklahoma; one brother, Jim Becker and his wife, Reta, of Perry, Oklahoma; three sisters, Patti Slaughter, of Colonial Heights, Virginia, Phyllis Haskin, of Cushing, Oklahoma and Mary Overbay and her husband, Bill, of Enid, Oklahoma; four grandchildren, Denton Sullivan, Dillon Forman, Logan Lewis and Candice Hogan, all of Perry, Oklahoma; a sister-in-law and brother-in-law, Sharon and Butch Heppler, of Perry, Oklahoma; a brother-in-law and sister-in-law, Virgil and Janis Biggs, of Perry, Oklahoma; and numerous nieces and nephews. His parents preceded him in death.